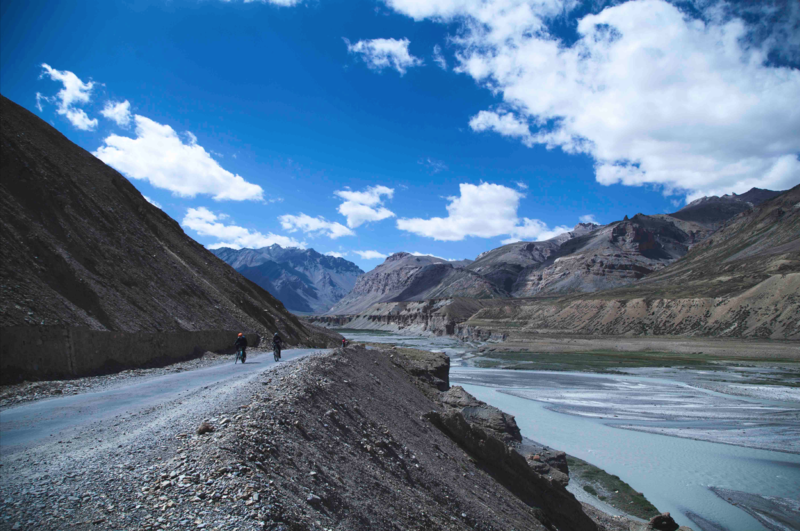 Known for its raw beauty, wild terrain and high altitude, the 550-kilometre route from Manali to Khardung La attracts adventure seekers from across the globe. 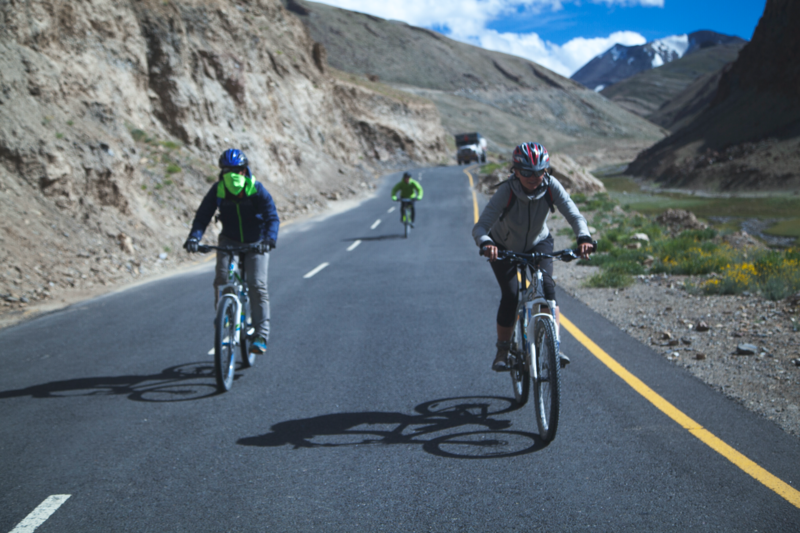 A popular path for cyclists, many riders attempt the journey to what is believed to be the highest motorable road in the world, through cold temperatures, winding slopes and beautiful landscapes. A commendable feat even for seasoned cyclists, there is much inspiration to be gained from the humbling mountains, untamed terrains and the strenuous ride. One such inspiration came from 24 cyclists, of which 6 were blind/visually-impaired and 3 were amputees, who successfully undertook this journey. The effort was led by Adventures Beyond Barriers Foundation, an organization that promotes inclusivity through adaptive adventure and sports activities for people with and without disabilities. With a community of over a lakh and a half able-bodied people and about 4000 people with disabilities, the organization aims to foster relationships beyond the differentiator of disability, by mainstreaming disability and promoting inclusivity. Through 5 selected adventure activities: marathons, paragliding, scuba diving, mountaineering and trekking, and tandem cycling, ABBF uses sport as a universal equalizer to build a community of like-minded, adventure-loving people. Tandem cycling involves a pair of cyclists on the same cycle- an able-bodied person who is the sighted captain working as the navigator and a blind or visually-impaired cyclist who is the stoker pedaling behind. Individual pairs work out their own method of communication- gestures or signals to effectively work as a team. With over 3 months of training, which involved practice rides increasing in difficulty, individual practices and group cycling rides, and the expedition itself including a medical and support team, riders and tandem pairs built a sense of community, coordination and comfort both in the lead up to and through the adventure. While many participants, first time and experienced alike, experienced apprehension and nervousness, the sheer sense of support and community overpowered the daunting unpredictability that comes with adventure and nature. One of the most striking successes of the journey is its ability to mainstream disability. 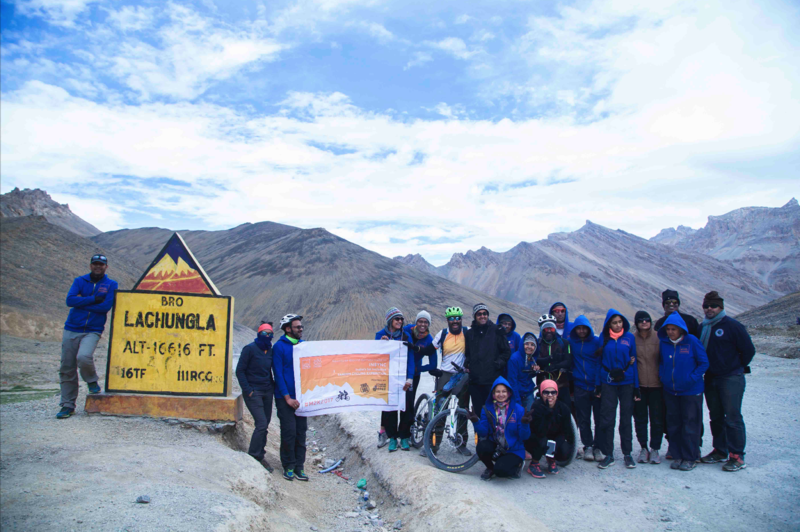 “Apart from the larger moments of cycling, there were numerous examples of inclusion in quiet moments when everyone was just hanging around and dancing, or having a conversation” said Yashasvini Rajeshwar, Head of Media and Communications at ABBF. “In that moment, it did not matter who was blind or an amputee and who was not. 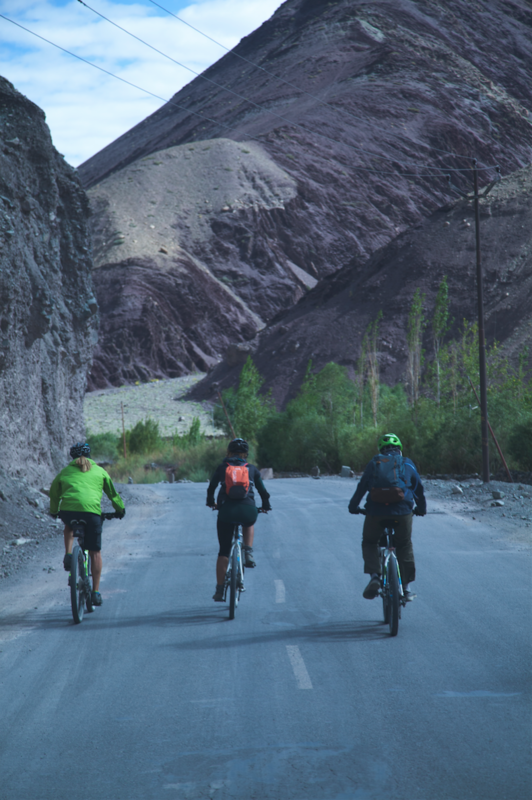 Disability was immaterial to that conversation and sense of community.” The cyclists moved out of their comfort zone, acknowledged their need for adventure, and participated in an empowering adventure to experience a raw humane connection in the wild terrains. The success of the trip and ABBF as an organization underscores the need for society to move beyond stigma and stereotypes about disability and embrace the adventure monkey, the thrill seeker and the badass boss in everyone, disabled or not. About Adventures Beyond Barriers | TheVibe Collabs: In our effort to break this mundane experience, we look for inspiration from those who break barriers, challenge norms, overcome their weaknesses and show that real life heroes exist. Streaming 25th September onwards only on TheVibe.